Stylish and comfortable and infinitely customizable. With twelve arm styles, two optional nail head patterns, eleven foot and base styles the Abingdon is available in over 100 fabrics and leathers. 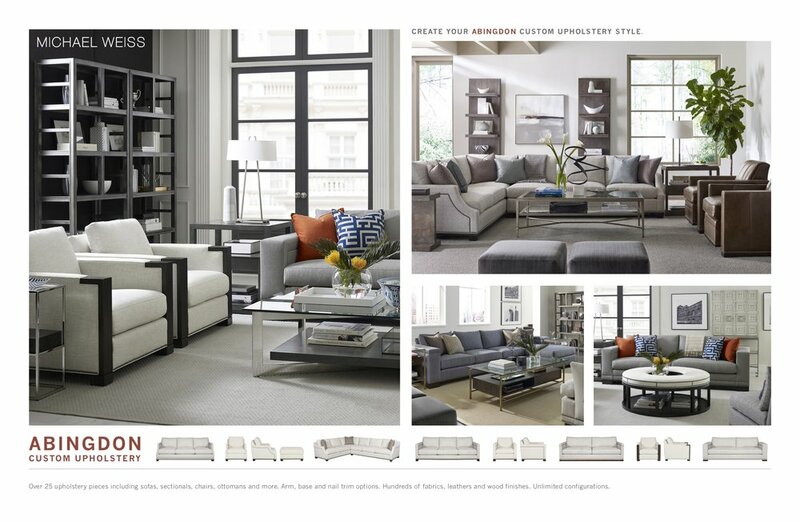 The collection includes multiple sectional configurations as well as two sofa sizes, loveseat, sleep sofa and chair.